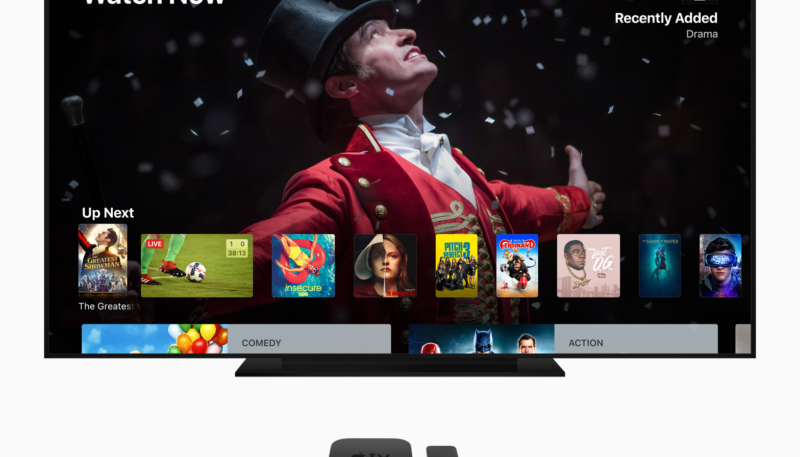 Verizon on Tuesday announced it will offer an Apple TV 4K or a YouTube TV subscription as a part of its upcoming residential 5G service rollout. The information comes as part of Verizon’s announcement of Indianapolis, IN as the fourth city where the provider’s new 5G residential service will rollout. Indianapolis joins the previously announced Houston, Sacramento, and Los Angeles. Verizon also announced today that YouTube TV and Apple TV 4K will be included with the initial 5G broadband offering in Sacramento, Los Angeles, Houston and Indianapolis. YouTube TV offers cable-free live TV with over 60 networks, including ABC, CBS, FOX, NBC, plus popular cable networks like TNT, TBS, CNN, ESPN, AMC, and FX, and local sports networks from NBC Sports, FOX Sports, and NESN in select markets. You can watch YouTube TV on any screen – mobile, tablet or computer – and easily stream to your TV with apps built for Roku, Apple TV, Xbox One, Android TVs and Samsung and LG 2016 and 2017 smart TVs; and Chromecast, Chromecast built-in TVs, and AirPlay through Apple TV. YouTube TV includes a cloud DVR, with no storage space limits. Apple TV 4K delivers a stunning cinematic experience at home with support for both 4K and High Dynamic Range (HDR), featuring unbelievably sharp, crisp images, richer, more true-to-life colors, and far greater detail in both dark and bright scenes. Apple TV 4K has been a hit since its debut last fall, offering customers an unmatched selection of 4K HDR movies and TV shows from iTunes, Netflix, and Prime Video. Siri and the Apple TV App are easy ways to find and play exactly what you want with the Apple TV App bringing all your favorite shows and movies together, and Siri making it possible to search and access content across Apple TV using just your voice. While the Verizon press release suggests new subscribers will receive both the APple TV 4k and the YouTube TV subscription as part of the deal, The Verge says users will have to choose one or the other. Verizon is hoping to get a jump on the other big four U.S. wireless providers in bringing 5G wireless services to residential users. Installations are set to begin in the four launch cities later this year. Mobile Verizon subscribers will be able to take advantage of the faster wireless connections in the first half of 2019.